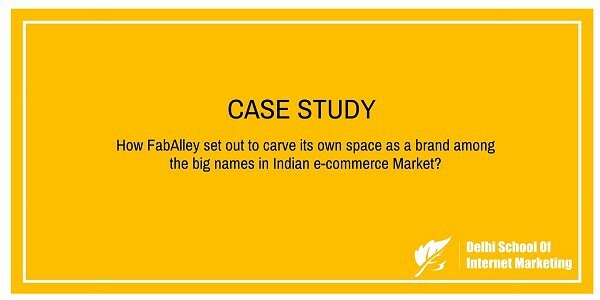 Case Study:How FabAlley set out to carve its own space as a brand among the big names in Indian e-commerce Market? Home > Blog > Blog > Case Study:How FabAlley set out to carve its own space as a brand among the big names in Indian e-commerce Market? FabAlley based out in Gurgaon is an online fashion destination for taste-makers and trend-breakers all over the country. 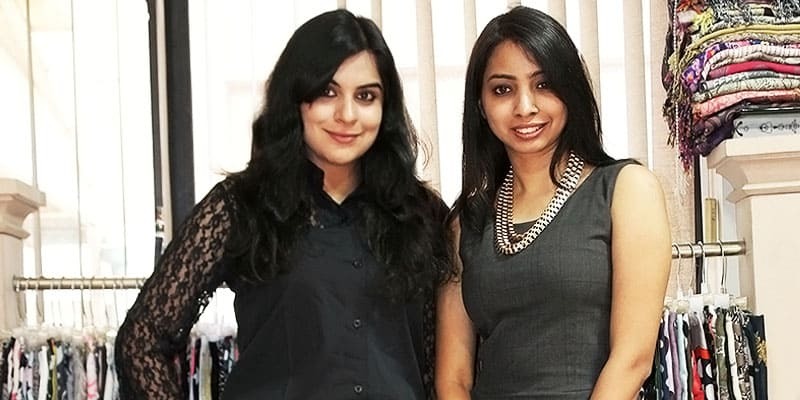 29-year olds Shivani Poddar and Tanvi Malik in 2012 started an online accessories store selling a highly curated collection of quirky jewelry, bags and shoes. The company is one of the private label brands whose products can be found across all other marketplaces. In just three years, the shop has grown to become a legit style source for fashion-forward apparel and accessories. The name was inspired by all the rebellious, fashion-forward girls in India who shy away from the mainstream and shop at offbeat alleys, indie-chic nooks and quirky boutiques. The site also offers a fashion blog, which provides fashion bytes, trend reports, style tips and street style beats, in addition to a fashion quiz. Going forward, FabAlley plans to rebrand and re-launch its fashion blog with more interactive features and in-depth fashion coverage. Co-Founder Shivani Poddar was a former Investment Banker at Avendus Capital and Tanvi Malik, has former brand management experience for the Fashion and Sports categories at Titan Industries Limited. Back in 2012, the two 25- year old realized that India had next to no access to global fashion trends at affordable prices. They seek to eliminate this need-gap felt by 20-something women like them across India with FabAlley. FabAlley started as an accessories only brand, but added apparel to its collection in early 2013. Clothing now comprises more than 85% of FabAlley’s revenue with more than 500 new SKUs introduced every month. Currently employing over 100 young fashion enthusiasts, FabAlley.com is a private label that works on a fast-fashion model. The company has more than 2000 styles within Clothing alone, with another 500 in Accessories. We work on a fast-fashion model, wherein we design, produce and launch new products every week. Our target audience comprises of young, discerning and fashion “forward women. We ensure that our lead time from trend-mining to production is really short so that we can always reach out to her with fresh new wares every week, says Tanvi Malik, Co-Founder of FabAlley. When launched, the company got around 1,000 visitors a day, and now it gets between 20,000-40,000 visitors a day on an average. The company has more than a lakh registered members on their website. As an online brand, FabAlley has utilized entire free social media platform for its promotion and marketing activity. A bulk of FabAlley’s marketing has been done through Facebook and Google. The company is also promoting themselves through PR agencies and magazines like ‘Cosmopolitan’ and ‘Grazia’ to spread the word. Fashion bloggers are also an important part of FabAlley’s marketing mix. “We work with a lot of fashion bloggers like High Heels Confidential, POPxo – who have a good following. So we do contests with them, advertise with them. Utilizing the social media platform like Facebook worked great for the brand FabAlley and as of now, the brand has almost 3 lacs fan followers. The company is working tight over Twitter to increase their user engagement which currently holds a count of 1800+ followers. FabAlley follows an inventory-led business model, with a strong in-house designing team, technology team and a very tight vendor network to ensure that the turn-around times remain minimal. The company is clocking more than 1 Crore each month in revenue, and growing at a break neck pace of 60% Month-on-Month. FabAlley.com has raised an undisclosed amount in seed funding from Indian Angel Network (IAN), a national network of angel investors that invest in startups and early-stage ventures. The funding was led by IAN members Tushar Singh and Mohit Goyal. Having raised funds from the Indian angel network in 2013 FabAlley.com grossed revenues of Rs 15 crore last year. The next 12-18 months for FabAlley will be involved in Brand-building activities through both ATL and BTL channels, says Shivani Poddar, Co-Founder of FabAlley.